When Lionel Messi, Neymar and Luis Suárez — aka ‘The Trident’ — take the field tonight at Parc des Princes for the first leg of the UEFA Champions League last 16, they’ll be on familiar ground. Not only have all three played there together twice before, but they have found the net five times as a unit — ten if you count matches versus PSG at Camp Nou. The trio know how vital this game is, coming on Europe’s biggest stage. 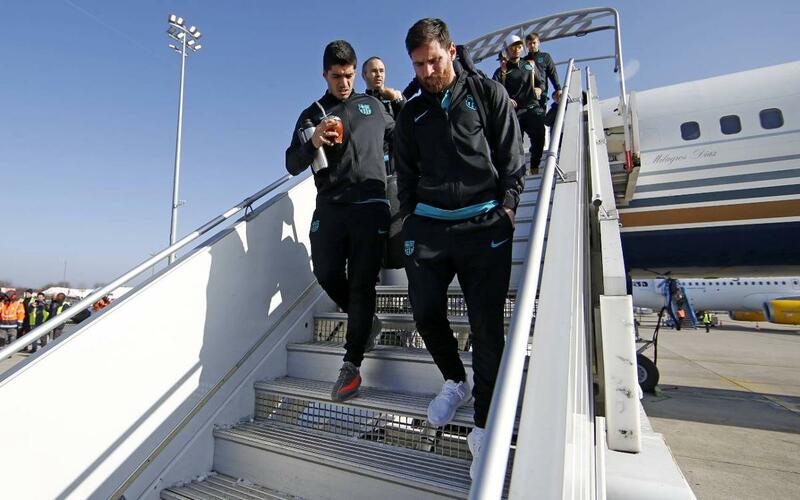 You could even see it on their faces as they boarded the team’s charter flight Monday morning at Barcelona-El Prat Airport, and as they trained at Parc des Princes on Monday evening, where we followed them with a camera, giving you an exclusive look of the trident’s newest challenge in Paris.